Paramahansa Yogananda's sacred mission had been prophesied from birth by the Himalayan master Mahavatar Babaji, and by his chief disciple Lahiri Mahasaya. 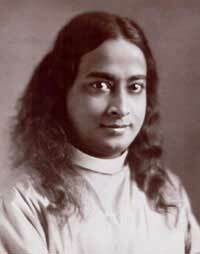 Yogananda's mother was told that her son is a spiritual engine and that he will carry many souls to God's kingdom. Yogananda's vivid childhood memories of being a yogi during previous lifetimes in the Himalayas are well substantiated by his own life. When as a youth of 17, he met his Guru, Swami Sri Yukteswar, the recognition, joy, and empathy between Master and disciple was immediate and enlightening. For the next several years he quickly grew towards Self-Realization under the wise and compassionate direction of his God-realized master. Following a prophetic vision and a letter inviting him to speak at the upcoming Congress of Religious Liberals in Boston, USA (Sept 1920), he carefully accepted this major new career direction as God's will. It was soon confirmed by a personal visit from Mahavatar Babaji that the young Swami Yogananda had been sent years earlier to His Master for training to eventually spread the timeless knowledge of the science of Kriya Yoga meditation in the West. When Paramahansa Yogananda arrived in America Sept 20, 1920, the "New World" was ready to receive these advanced teachings that had previously been reserved for monastics and chelas in ashrams. Without any personal ambitions, he came to serve and save those who wanted to learn and grow, and help raise the consciousness of humanity. Paramahansa Yogananda quickly adjusted to his newly adopted homeland, he soon became a prominent and successful speaker on America's spiritual scene. His main lecture tours were conducted between 1925 and 1936 to overflowing audiences, and during this time his organization called SRF, was steadily growing. It was Paramahansa Yogananda who succeeded in giving the world outside of India a full, effective and clear exposition to the Science of Kriya Yoga meditation. His main mission in all of this was to build a lasting bridge of World Brotherhood based on raising the spiritual awareness between the East and West. On the Master's return visit to India in 1935-36, his Guru expressed approval for his work by giving him India's high spiritual title, "Paramahansa". It was also during this historic trip, when Mahatma Gandhi asked that Yogananda initiate himself and his staff into the sacred science of Kriya Yoga. The outstanding success of his world mission was mainly the result of various factors; including his God-centered life and service to humanity, and the divine love and power many persons say they felt in his presence and in his writings. With a number of competent, spiritually attuned staff through His divine influence and presence millions of lives are being changed for the better, and inspired towards a more harmonious way of living spiritually centered lives. All this spiritual success gave his followers and successors a solid foundation named Self-Realization Fellowship with which to carry on with this mission. In the 140+ years since it's quiet beginnings in India (1861), when Kriya yoga was introduced to the masses by Lahiri Mahasaya, this divine lineage has produced an impressive record of great souls and public service. 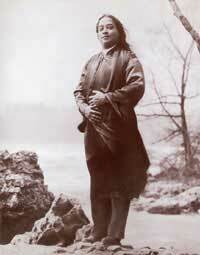 Including many of those who stayed on to aid Yogananda's work through SRF. Yogananda carried out his mission par excellence, not requiring Babaji to send any others to duplicate or confuse this work. His reputation was impeccable, and he always kept his word. Many readers claim that the vibrations of his ever-living presence can still be felt through his writings and recordings, as he spiritually touches and guides their lives. Yogananda's best known work, "Autobiography of a Yogi", was first published in 1946, and has appeared on best-seller lists as recently as 1997. This spiritual classic of the 20th century gives the reader new insights and inspiration to seek Truth, to experience deeper awareness and love. Just reading this book is in itself a powerful consciousness-raising experience. Beginning with the beautiful portrait of a devout Hindu family, the author continues with living presentations of the lives of many modern yogis and saints whom he met during his own spiritual quest. Thus describing as never before the full significance and function of the Master-disciple relationship, and it's importance as the vital key in one's search for Self-Realization and salvation. Yogananda's vivid and detailed descriptions of his experiences in Samadhi (cosmic- consciousness) are no doubt the most believable and articulate in the history of spiritual literature. This was the first time the profound teachings of the Kriya yoga were written about in such detail in English, by a fully accomplished Yogi. After the publication of the original edition of the Autobiography of a Yogi, the author Paramahansa Yogananda made many major changes to this book. such as the addition of the 49th chapter, the removal of 80% of a page on world brotherhood colonies, the addition of many new and important footnotes, as well as a number of other grammatical and spelling corrections. He also appointed an Editor-in-chief and her successor (monastics whom he personal trained for this task, and both of whom had been in spiritual training with the Guru for many years, and were well aware of His wishes for the future of His work), to carry the editing and publication of all His writings, which he bequeathed solely to the Self-Realization Fellowship. Further changes since 1952, have made the most recent editions more fully reflect the deepest intentions and truest teachings of the Author, which give more reliable direction to all readers and serious devotees.Paramhansaji clearly stated that after his departure the Self-Realization Fellowship Teachings would be the Guru, and through these teachings others would be in tune with Him and the great Gurus who had sent Him. Also stating that the SRF would always be headed by a leader of deep spiritual realization. His comment about the teachings does not diminish the importance of the personal Guru-disciple relationship, which is an eternal relationship and integral to success on the spiritual path. "If you follow the Self-Realization teachings I have brought to you from the masters of India, you can find God in this life."